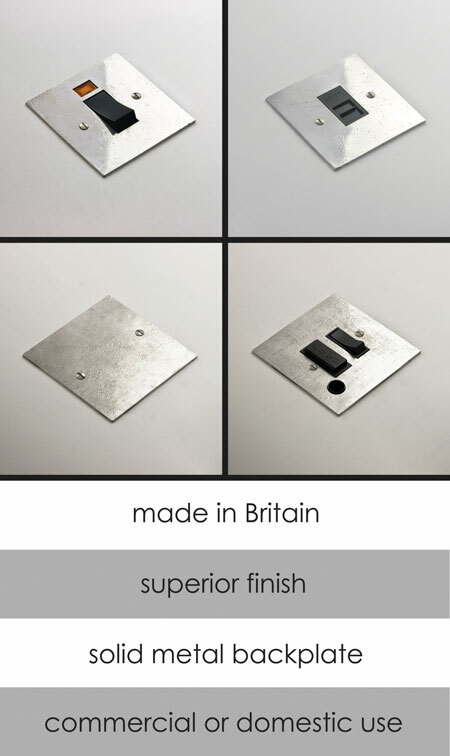 These classical designed household electrical fittings are very high quality and a lovely design touch for both contemporary and traditional interiors. These distressed "tarnished" bashed and polished silver fittings are available as satellite, TV aerial, telephone and internet sockets, as well as a cooker switch. * Superb for high quality interiors.